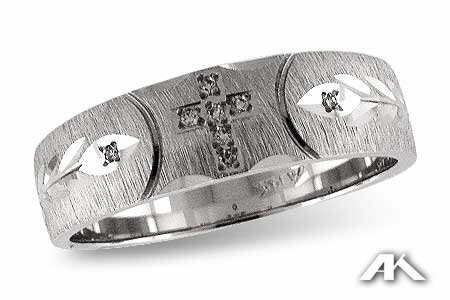 Ladies aren’t the only ones who get a wide range of options for wedding rings. We offer a wide selection of men’s wedding bands – from traditional white or yellow gold, to exciting NEW Tungsten Carbide and Titanium rings! Our bands are made with a comfort fit; meaning the inside has a rounded finish, which provides a very comfortable wear. From the traditional smooth finish, to a laser engraved design, we’re sure to have something for every man.